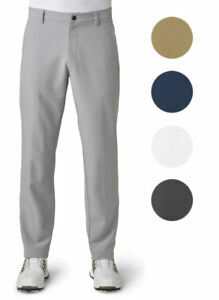 Oakley Take 2.5 Golf Pants 421977 Men's Flat Front New - Choose Color & Size! Adidas Ultimate 365 3 Stripe Golf Pants 2017 Mens TM6210S6 - Choose Color! carlsgolfland has no other items for sale. Details about Adidas Ultimate 365 3 Stripe Golf Pants 2017 Mens TM6210S6 - Choose Color! NEW Men's Adidas 2018 Quarter Zip Stretch Wind Golf Vest - Choose Size & Color! Forrester Men's Waterproof Golf Rain Suit - Packable - Select Size & Color! There are 2,109 items available. Please enter a number less than or equal to 2,109. Shipping was quick and items were just as expected! Very nice ! & fast shipping ! !